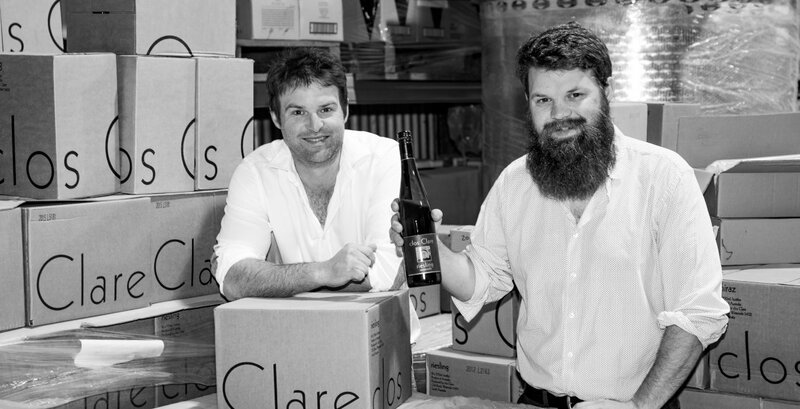 Tom Barry is a third generation winemaker at both clos Clare and Jim Barry Wines. He graduated from the University of Adelaide Waite Campus (formally Roseworthy Agricultural Collage) with the same degree in Oenology that his late grandfather Jim received sixty-three years earlier and his father in 1985. From his travels, Tom has taken home a wealth of knowledge to strengthen the clos Clare brand and develop his winemaking skills, which he applies when making the clos Clare Riesling, Shiraz and Grenache using the facilities at Jim Barry Wines. Sam Barry completed a Bachelor of Commerce in 2012 at The University of Adelaide, specialising in accounting and finance. His passion for wine also started at a young age and he completed his first vintage as a cellar hand at Jim Barry Wines in 2007 and followed this with three consecutive part time vintages at the Wilson Vineyard at Polish Hill River, under the guidance of winemaker Daniel Wilson. In 2011 he completed two separate vintages with Hoddles Creek Estate in Victoria (Australia) and also in Italy at Benevelli Piero (Monforte d’Alba, Piemonte). 2013 saw him undertake vintage in Burgundy at Thibault Liger-Belair. Sam is currently completing his WSET diploma. In 2015, Sam Barry was selected by the Australian Grape and Wine Authority as one of 15 rising stars for its Future Leaders 2015 program. Coordinated by Australian Grape and Wine Authority in partnership with Wine and Grape Growers Australia and Winemakers’ Federation of Australia, the program was designed to develop participants’ leadership capabilities and encourage innovation and thoughtful debate on the future of the sector. “Future Leaders is about ensuring the next generation has the support and skills necessary to lead the way. There is a critical need for their innovation and fresh thinking in decision making,” WFA Chief Executive Paul Evans said. The selection criteria helped uncover applicants with open, creative, inquisitive minds, leadership potential and demonstrated commitment to the success of the Australian wine sector.